One of the most constant issues these days is distraction; our attention span can be very limited sometimes. When you are distracted many things can happen. You can lose your car keys or simply lock yourself out of your car. Car lockouts are very frequent, which means we are all distracted and often under a lot of pressure. Our daily responsibilities put us under pressure which many of us sometimes aren’t mentally prepared to deal with. Distraction is so common that most of the people have attention issues these days. We are distracted by phone calls, social media channels and commercials. How many times have you found yourself daydreaming about many things? Exactly! Too many distractions; your mind is all over the place. Therefore, there is a higher chance of you losing your keys. We are distracted by depression or traumas we receive, or maybe you just have had a bad day and you are distracted by thinking about it. There’s too much to be thinking about and I understand why so many people lose their keys or end up locking themselves out of their own vehicles. Car lockout is such a common issue that every day you have a car lockout situation as many as 2-3 times a day on average in Waterloo region. These statistics spreads between 2 companies, so imagine the real numbers. There are a lot of car lockouts there. 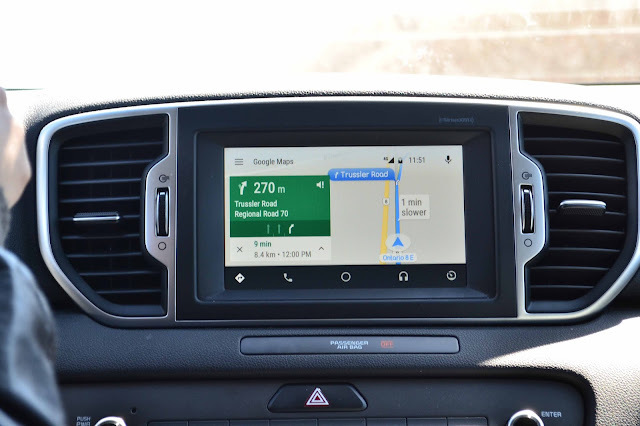 In such case you have a few options, call a tow truck which deals with towing or calling your local locksmith to rescue you from your sticky situation. 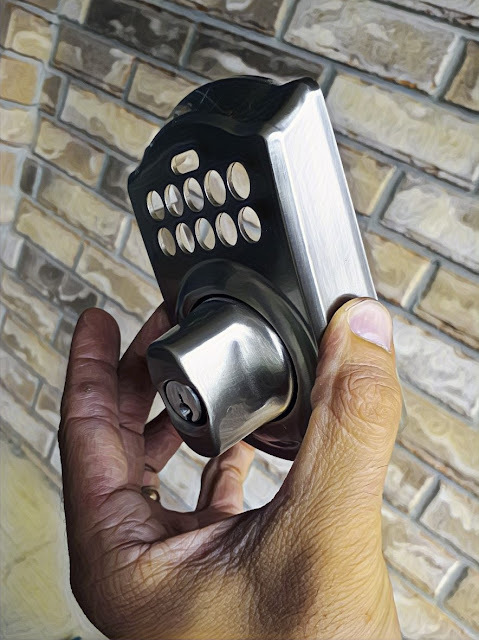 Many would choose a locksmith service to handle their car lockout, simply because “car locksmiths” are trained to work on a vehicle and provide you with a professional customer service. I personally managed to lock myself out of my car once; I was distracted and left all my car lockout tools in my car as well. 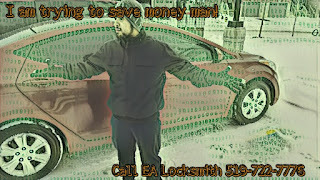 Yes funny, locksmith locked out of his own car – how ironic. This comes to show that we are all human and we are all distracted with our thoughts and our fears or hopes. Then we manage to create a whole scenario without any intention. Scenario where we watch ourselves standing in front of our car, locked out. Best strategy to get out of a sticky situation is not to make it worse. 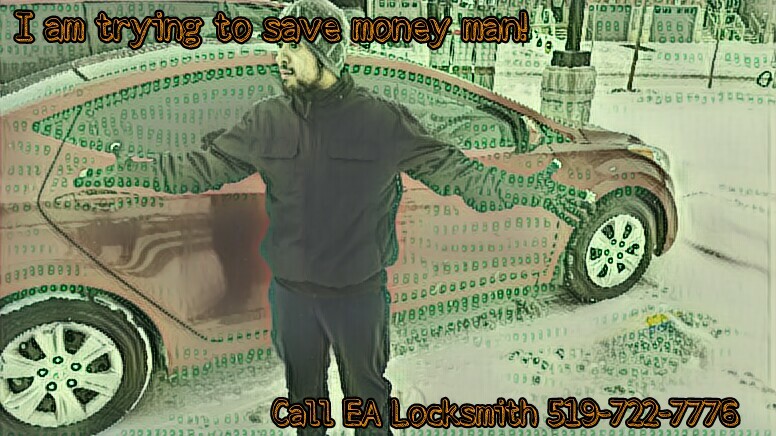 Hence, call a local locksmith you trust and make sure the car lockout locksmith is able to save the day and save your frustrations. You need a car lockout locksmith who treats you with the respect you deserve and provides you with the friendliest service which you just can’t deny. Wouldn’t that make your day so much better?